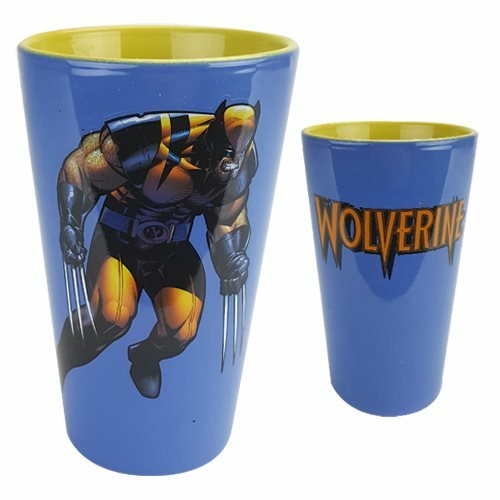 You can toast Logan every time you take a drink from this uber-cool X-Men Wolverine Ceramic Glass featuring Wolverine and his name. It measures about 5 9/10-inches tall. Hand wash only. Not dishwasher safe. Do not microwave.